Carpet can be a big expense. While it is typically one of the least expensive floor covering options, it is still a big investment to make in your home. As with most things, a standard adage with carpet is, “you get what you pay for”. This generally holds true, but it doesn’t mean that there aren’t ways to get the carpet you need and still save some money. When you’re looking to save money on carpet, there are some areas where you can be a bit thrifty, but there are also certain things that should never be compromised. Let’s take a look at where you can save some cash, and where it doesn’t pay to skimp. It goes without saying that you can save money by buying your carpet when it’s on sale. While it’s true that sales can occur year-round, the biggest manufacturer promotions tend to occur during the fall months, typically from October to December. Most of the big manufacturers run incentive programs in the fall, perhaps to help clear out inventory before new spring introductions. Some may also run spring sales but usually they are not as big as the fall specials. Of course, if you can’t wait until the fall, you may be able to find sales throughout the year; particularly retailer sales (where the retailer is offering the discount, instead of the manufacturer). Retailers may be willing to lower their prices a bit more during the summer when business is traditionally slower. 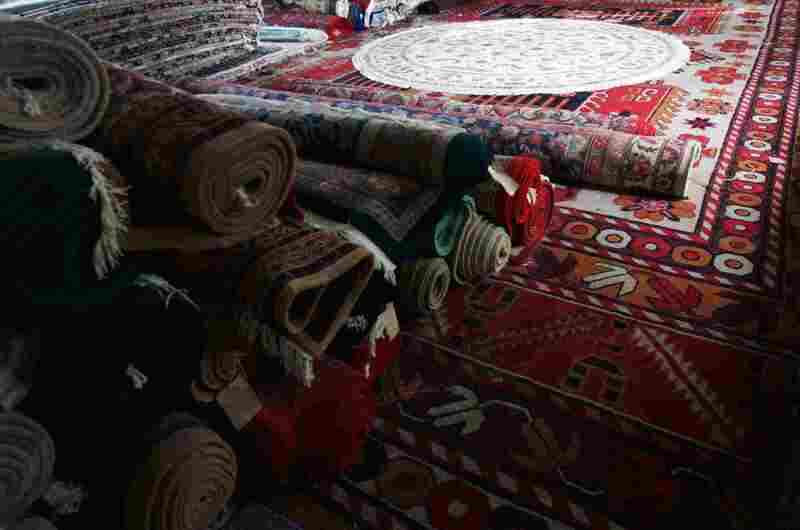 Many carpet retailers carry some products in stock – they usually have large rolls of carpet in their warehouse, from which they can cut the size that you need. Generally, retailers get hefty discounts from manufacturers when they purchase several large rolls at once, which they can pass on to their customers. Of course, the selection of in-stock products will be more limited than special order carpets, but if you are lucky enough to find the style and color you like in a retailer’s inventory, you should be able to save substantially over buying the same product on special order. Most of the time, retailers stock first-quality goods (meaning there are no defects in the carpet, and full manufacturers’ warranties are in effect). Sometimes, though, manufacturers will sell off “seconds” – carpets that have a slight flaw or are off-color (the color doesn’t match the carpet sample). Seconds can offer great savings opportunities, but the lack of warranty and the extent of the flaw may not be worth the cost savings. Be sure to confirm with the retailer that the carpet in stock is first-quality, and carries a full warranty. If not, be sure that you can accept the risk that comes with buying seconds. If you are looking for a relatively small piece of carpet (usually around 12' x 25' or less) you may want to consider looking for a remnant. Remnants are typically the ends of the rolls that retailers have in stock, as described above, and are usually further discounted to sell quickly. There are some risks associated with buying remnants, however, depending on the intended use of the carpet, they can often be well worth it. This advice works in two ways. First, try not to literally buy more carpet than you require in order to cover your floor. Sometimes, wastage is inevitable, depending on your room dimensions and the width of the carpet. But make sure you have properly measured and calculated your square footage requirements, and discussed with the retailer how to minimize the wastage. If you do have leftover carpet try to use it elsewhere by making it into an area rug. The second part of this advice is to ensure you are not buying a quality of carpet that is beyond what is necessary for your home. In other words, if you don’t need a top-of-the-line carpet, you can save some money by going with a less expensive mid-grade quality. Be sure that you are not oversold by the salesperson. Many carpet manufacturers offer product lines that are available in two or three qualities (a good-better-best format). For example, some saxony product lines are offered in 40 oz., 50 oz. and 60 oz. weights. Everything else about the carpets is exactly the same: the style, the fiber type, and the color (aside from minor dye lot variations). These collections can offer savings opportunities by allowing you to choose the higher grade where you need it, and the lower grade in lower traffic areas. For example, if you are carpeting your bedrooms, hall, and stairs, you probably know that the hall and stairs are the highest traffic areas of your home, and therefore require higher grade carpet than your bedrooms. By choosing a product that is offered in different qualities, you can purchase the highest grade for your busy hall and stairs, and the less expensive option for your bedrooms, while keeping the look and color consistent. Nylon has long been hailed as the king of carpet fibers. It is very durable and resilient. It is also very expensive, compared to other fiber types. If you are looking to save money on your carpet, consider choosing a carpet made from a different fiber. Polyester is a great choice for many carpet styles. The polyesters available today are quite durable, and some feature added benefits such as softness and recycled content (making them eco-friendly). Plus, polyester is a naturally stain-resistant fiber. If you are looking for a Berber, consider an olefin fiber. Olefin (polypropylene) is not as strong as nylon, but in a looped format, its strength and durability are amplified. Olefin is extremely stain-resistant and colorfast, so it will not easily stain or fade in direct sunlight. It is also much less expensive than nylon, and can be a great option for a lower-traffic area, or if you are not planning to be in your home more than a few years. If you are still looking for a high-quality carpet but don’t want to pay for a nylon, take a look at triexta. Although it is still pretty new, it is quickly proving itself to be very durable, as well as stain- and fade-resistant, eco-friendly, and soft. It is a bit more expensive than polyester, but generally not as expensive as nylon. The cushion under your carpet is crucial to your carpet’s performance. Skimping on the pad can be very detrimental to your carpet, causing it to wear prematurely – this will lead to having to replace the carpet sooner than you would have otherwise, which will cost you much more in the long run. Carpet installation can be quite expensive, especially if you have intricate upholstery work (stairs, pickets, etc.). It may be tempting to try to do the installation yourself ​or hire a “friend” who claims to be able to install it properly for less than what the professionals would charge. Unfortunately, there are many cases where these choices have resulted in disaster, sometimes causing the need for a full replacement of the carpet. Carpet installation is a tricky business and requires specific tools and a lot of know-how. Your best bet is to spend the extra money to have it done right, and have the retailer (or independent installer if the retailer does not have its own installation team) absorb the responsibility in case anything does go wrong. Keep in mind also that many warranties stipulate that the carpet must be professionally installed.